As a member of the Friends of the Chula Vista Library, you will receive the newsletter Among Friends as well as advance information on Friends' activities. Your tax-deductible donation enables the Friends to underwrite programs and services at the branch libraries and the Chula Vista Heritage Museum. Your membership is good for one year and needs to be renewed annually. 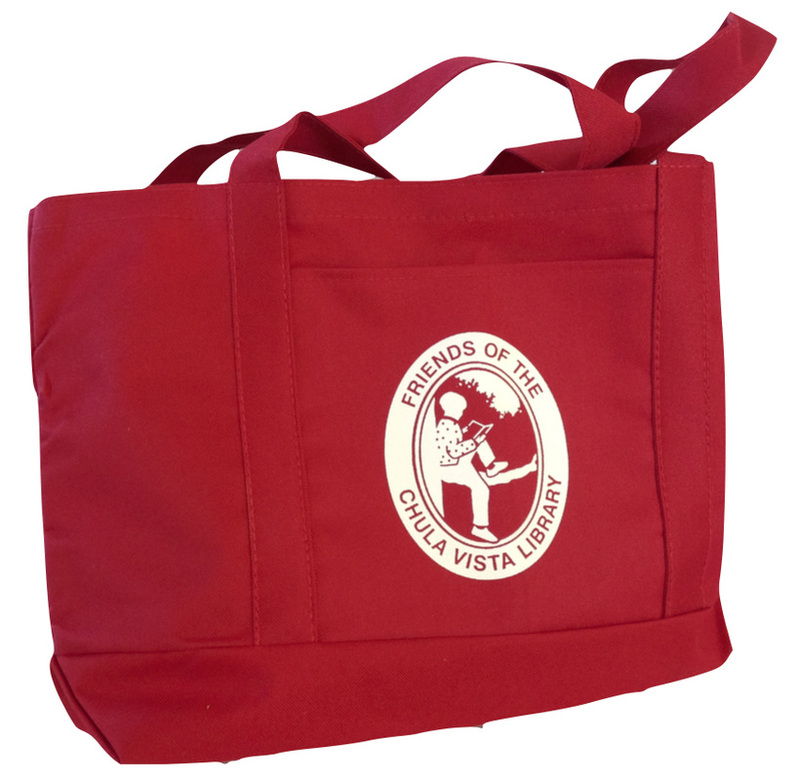 Members who join at the $25 Sponsor level or above will receive a spiffy red Friends of the Chula Vista Library book bag and a pen. Current members who renew at the $50 Patron level or above will also receive a bag. You will receive a coupon to redeem at the Friends' store at the Civic Center Branch. Click here to download a membership application. Or click here to complete an online application.